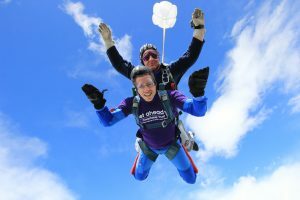 If running or cycling is not your thing, then why not astound your family and friends with an extreme feat of bravery in 2018 and take on a Skydive instead. “Get A -Head skydiving is utterly fabulous. Where else can you spend a Saturday jumping out of a perfectly serviceable plane, fly like a bird and then float to the ground with the biggest grin on your face itching to do it all over again. Not only that, you know you’ve raised money for such a great cause too. It’s a win for everyone. Sign up you’ll never regret it”. 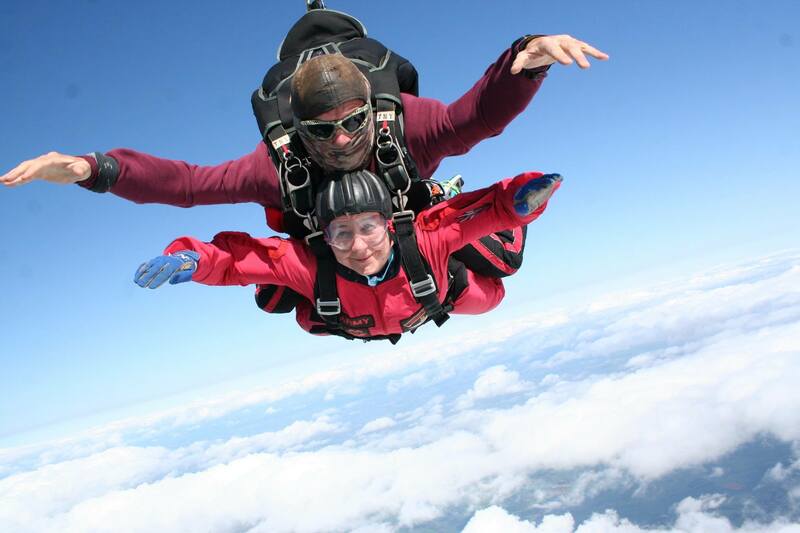 Thinking about taking part in an exhilarating skydive? This really is a challenge of a lifetime and an experience you will never forget. You’ll be flown up to the dizzying heights of 10,000 feet before diving down through the air freefalling at over 120mph! It’s a once in a lifetime experience; an adrenaline rush that will leave you walking on cloud nine. What does the jump involve? Tandem parachuting offers a quick and easy introduction to free-fall using a dual harness system. You are securely attached to an experienced Tandem Instructor who takes charge of vital functions such as opening the parachute and landing safely. Weather permitting, you will then fly to between 10,000 – 15,000 feet (depending on the centre and aircraft used) and exit the aircraft for the experience of a lifetime! The free-fall will take around 30 – 45 seconds before the parachute is deployed. In now time at all you will have reached the ground with a soft landing. All you have to do to register is call the office on 0121 794 9596 or email info@getahead.org.uk and we’ll send you an application form. A £30 non-refundable registration fee gets you a place on our skydive team, and then we ask you to raise a minimum of £350 in sponsorship. Once we have received your application and registration fee we will send you sponsorship forms and links to setting up an online fundraising page, together with a Get A-Head T-Shirt, so you can let everyone know about your challenge.